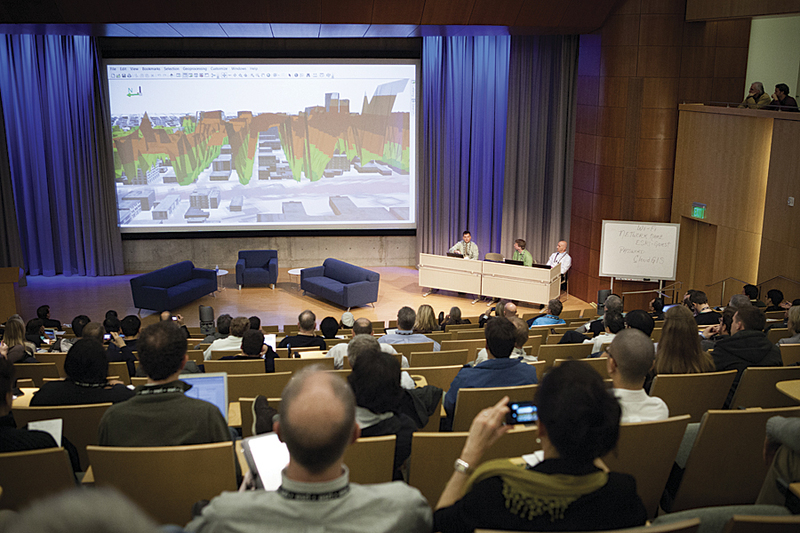 “Geodesign combines geography and data with modeling, simulation, and visualization to tell stories and [show] the consequences of your actions,” Ferren told the more than 260 architects, urban and transportation planners, GIS and design professionals, educators, and others, in attendance. 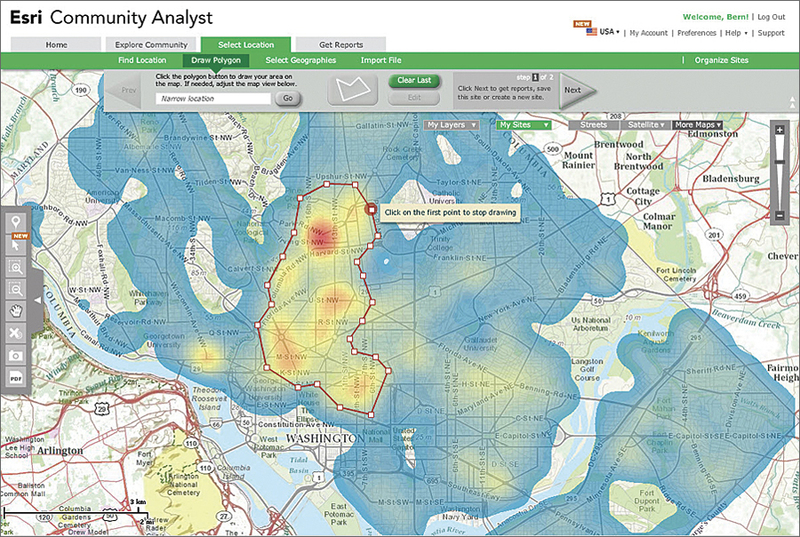 He sees great potential for geodesign to ultimately help find solutions to complex problems. “It is still in the shiny object stage, but it will be very important,” he said. Summit attendees also heard from Esri president Jack Dangermond, who spoke about his enduring belief in technology as an agent of positive change to tackle the planet’s big problems. “In my life, I always believed technology could matter,” he said. He also spoke about a shift, with GIS becoming a platform technology that’s more participatory than ever before because it is now widely available via a cloud gateway that supports applications on the web and on mobile devices. “This potentially has the power of making the concepts of geography, the models, the analytics—not simply the visualization—available to everyone,” Dangermond said. Another geodesign-related technology demonstration showed how Esri technology was used to model the impacts of transit-oriented development in 3D for the city of Honolulu, Hawaii (see “3D Modeling Shows Off Elevated Rail System Landscape“). With the city’s population expected to increase by 164,000 people by 2050 and traffic congestion a problem now, Honolulu faces major development decisions. Elliot Hartley, a director of Garsdale Design Limited in Cumbria, United Kingdom, gave a talk called “The Instant City—Geodesign and Urban Planning.” His firm, along with its Iraqi Planners Group, is creating a master plan for the city of Nasiriyah, Iraq, which includes plans for future housing, utilities, and infrastructure. Garsdale used the capabilities in Esri CityEngine, 3D modeling software for urban environments, to change the plans when new data was added or late changes were made. Work that took four days using other software took only a half day using CityEngine, he said (see “CityEngine Creates New Solutions for Historic Cities“).